There was a time when it was difficult to find free wifi and we struggled to get online whilst out and about. I remember having to constantly seek out McDonalds whilst touring the US in an RV just so that I could download maps. Now you can’t go 10 yards without your phone searching for the next available public network. But how safe is public/free wifi? Well ask any techie and there will be lots of teeth sucking and shaking of heads. Not so safe, of very low quality it would appear and here’s why. Encryption – There was many ways the hacker can access your personal data through a free/public wifi network. Most common is the man-in-the-middle system (MITM). This is when the hacker, using malware, intercepts information flowing between your computer and the sites you are visiting. Sensitive data such as passwords and financial information can be gleaned. 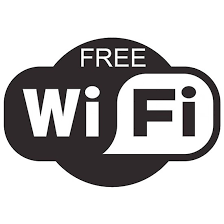 Most free or public wifi have poor, if any, data encryption which allows this to take place. Rogue hotspots – This is when the hacker will make up a false network for you to connect to. They will use a similar name to the free genuine network you are trying to connect to. The hacker then uses malware to intercept sensitive information or they can even inject malware into a connecting device. Even if you are lucky enough to avoid either of the above tricks you then have to contend with the painfully slow speeds that most free/public wifi networks use. Lets take a coffee shop as our example. A coffee shop owner is unlikely to pay big money for superfast wifi speeds when he’s only making a few pence/cents on each cup of coffee? They will cheap out, going for a slower, cheaper package. This also has the added advantage that you are not likely to sit there all day with just your one cup of coffee whilst you download vast amounts of data for free. This coupled with the number of people in the coffee shop trying to use the free wifi is going to result in a pretty choked up network. At Lovesail we don’t recommend using free/public wifi networks at all. We know this can be difficult as some of you will be sailing around remote parts of the world and the rum bar might be your only option. Try and splash out a bit on your data package so that you don’t have to use the free networks. A few years ago I was finding it difficult to find a data package of more than 5GB, now data is cheap it’s very easy to find packages with 20-30GB of data, more than you will ever need. If you do need to use a free/public network then follow these tips to reduce the chances of cyber attack. Ensure all the website you visit have SSL certification. This means they encrypt data. These websites can be identified by https:// at the beginning of the url along with a padlock icon. Do not make online purchases when using a free/public wifi network. Avoid logging into password protected sites especially banks and financial institutions. Make sure all your software is up-to-date on all devices. Use a 4G network. It’s usually has faster speeds anyway, and is considered to be more secure than a free/public wifi network because it does have a level of data encryption. Use a VPN. A Virtual Private Network system is a service that will encrypt your data, however, be warned, they do have a reputation of slowing down your internet speed. I no longer use free or public wifi when I’m out and about. If I need to log onto any sites I only use 4G, and make sure I have a data package that is big enough for all my needs. I use my phone as a personal hotspot if I want to work using my laptop. The 4G network is so good now that I find it is invariably much quicker than any free/public wifi network. Lovesail is a global online dating and social networking site for sailing enthusiasts. Join our friendly sailing community to meet other passionate sailing devotees. This entry was posted in News and tagged cyber safety, free wifi, public wifi, safety tips, VPN by Erica. Bookmark the permalink.